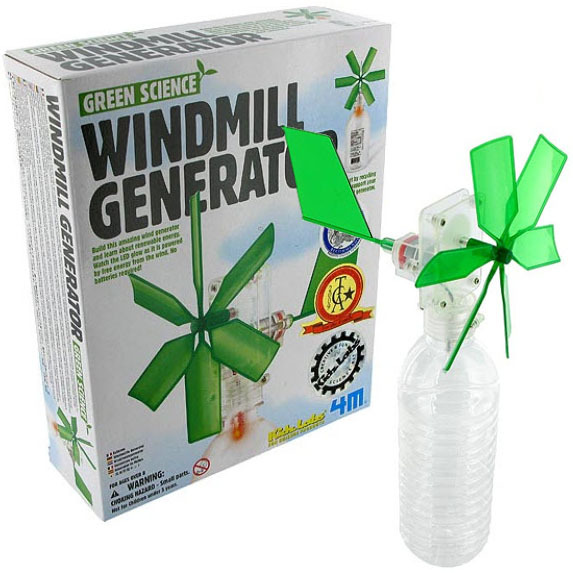 Learn about renewable energy and green science with the brand new windmill Generator! Just add a plastic bottle from your recycling bin to the contents of this kit. Kit makes a wind generator that will power an LED. No batteries required.